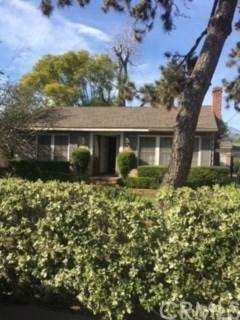 Super area with large lot--in highly sought after Temple City School District. 2 bedroom house with charming curbside appeal does needs updating and some fixing, but would work well for a remodel to build your dream house. Easy to spruce up today, and add on later, as the lot is a whooping 150 feet deep and so can accomodate a large house and still have room for a yard. A beautiful concrete and brick driveway leads to the separate 2 car garage. You will live in a pleasant residential area, with the conven Super area with large lot--in highly sought after Temple City School District. 2 bedroom house with charming curbside appeal does needs updating and some fixing, but would work well for a remodel to build your dream house. Easy to spruce up today, and add on later, as the lot is a whooping 150 feet deep and so can accomodate a large house and still have room for a yard. A beautiful concrete and brick driveway leads to the separate 2 car garage. You will live in a pleasant residential area, with the conveniences of the big city near by. Opportunities like this do not come on the market often so act now. Property sold as is. Listing provided courtesy of Lombardi Realty. Listing information © 2019 San Diego MLS, Inc.